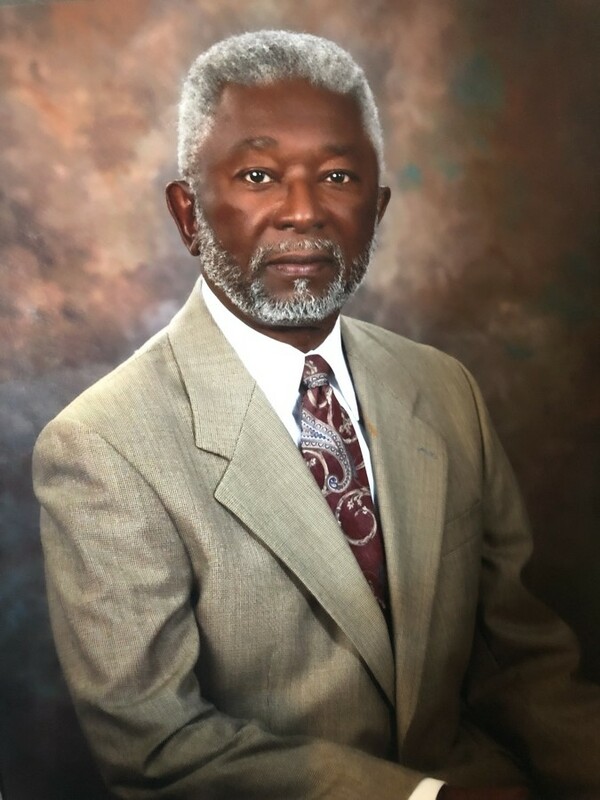 Obituary for Carlton Rainge | Rainge Memorial Chapel Inc.
Deacon Carlton Rainge, age 67, of Blackshear, GA, passed away Sunday night, January 6, 2019, at the Orange Park Medical Center in Orange Park, FL, following a brief illness. His loved ones were by his bedside. He was born August 3, 1951 to the late Daniel Lee Sr. and Martha Fisher Rainge. He attended the Nahunta Elementary School System and then Center High School in Waycross before returning to Brantley County High School where he graduated in 1969. After high school, he matriculated at South Georgia College in Douglas where he graduated in 1971 with an associate’s degree. He attended Gupton-Jones Mortuary College and graduated securing his dream with his funeral director and embalmer licenses. He was the owner and operator of Rainge Memorial Chapel Funeral Home, Inc. in Blackshear. He was a member and deacon at Little Rock Baptist Church in Nahunta. Deacon Rainge was an individual of extraordinary vision, talent, presence and accomplishment. A born leader, he exercised tremendous influence on the lives of many, especially young people. Without fanfare, he worked in the church and civic organizations, in social clubs and in educational endeavors with a view toward making situations better than he found them. He was preceded in death by his parents, Daniel Lee Sr. and Martha Fisher Rainge; his maternal grandparents, John and Louise Fisher; his paternal grandparents, Ike and Leatha Rainge; a sister, Beverly Jenese Rainge and two brothers, Nathaniel Rainge and John Henry Rainge. Left to cherish his memories are his wife, Marie Rainge; three children, Roosevelt Hardaway Jr., Grantville; C. Mario Rainge Sr., Waycross and Kamari Rainge, Atlanta; grandchildren, LaTravis Stone, Shaniqua Stone, Corriyon Bray, Keyshawn Hardaway, Shamaria Rainge, Carlton Mario Rainge Jr. and Arayah Rainge; great-grandchildren; five brothers, Daniel L. (Annie Mae) Rainge Jr., Nahunta, Eddie (Ruby) Nails, Ellenwood, Lester (Sarah) Rainge, Macon, Marshall R. Rainge, Brunswick and Curtis M. Rainge, Papillion, NE; five sisters, Shirley (Harold) Goldsmith, Albany, Mary Ruth Rainge Thomas, Puyallup, WA, Barbara Ann Rainge Maefield, Nahunta, Carletha Rainge Bryant, Waycross and Louvenia Annette Rainge, Evans; sisters-in-law, Lois Shephard, Annie Parks (Leon), Roberta Daniel, Carrie Nell Stinson, Teresa Stinson, Oletha Stinson and Dianne (Vernon) Robinson; two uncles, Jimmy Rainge and Sam Fisher, both of Florida and loving nieces, nephews, cousins and the loyal and the dedicated staff of Rainge Memorial Chapel, Inc.
A celebration of life service was held at 1 p.m. Monday from the First Baptist Church of Blackshear where the Rev. Dr. Bill Young is the pastor. Pastor Donald Mathis Sr. of the M.L. Harris United Methodist Church of Columbus was the presider and the Rev. Marie S. Rainge, officiated. Minister Thomas Lott offered prayer, Pastor T. Terrell Reynolds read a selection from the New Testament and Elder Terence Lattimore offered acknowledgements. A special tribute was offered by Carlton Mario Rainge Sr. and remarks given by Marshall Rainge Sr., Steven Anderson and Curtis Rainge. Music was rendered by the Jacksons and soloist, Kamari Rainge. A praise dance was offered by Michelle Massey of the Woodbine Cooperative Parish. Interment followed in the Masonic Cemetery in Waynesville in Brantley County. Active pallbearers were Daniel Lee Rainge III, Kelii Stinson, Marshall Rainge Jr., Leslie Stinson Jr., Henry White and Phillip Rainge. Honorary pallbearers were the Second District of Georgia Funeral Services Practitioners Association and all GFSPA members, 100 Black Men of Southeast Georgia and the staff of Rainge Memorial Chapel Funeral Home. Flowerbearers were nieces, cousins and loved ones. Condolences may be expressed online at www.raingememorialchapelinc.com. Final and most sacred arrangements are entrusted to the professional care of Rainge Memorial Chapel, Inc. 505 Ware, St. Blackshear. And a special “Thank You” to Mr. Randall King of King Brothers Funeral home for his assistance.